Struggling with family law issues is emotionally, physically, and mentally exhausting. The Tempe family law attorneys at Dodge & Vega, PLC are here to support you during these most challenging times with advice, support, and dedicated legal representation. As a complete Tempe family law firm, our experienced divorce attorneys are there for you through every aspect of your case, including legal support for divorce, child custody, child support, father’s rights, and more. As skilled Arizona family lawyers, we understand that this wasn’t what you wanted or expected your life to be. No one ever wants to have to worry about whether or not they will be able to maintain a relationship with their children, or if they will be able to support themselves after a divorce. Dodge & Vega, PLC helps you navigate the family law landscape, working with you through the unique obstacles and legal challenges you may face. We provide the tools you need to create a workable plan for what your life and future will be like going forward. When you are facing tough times and have lots of questions, the experienced family law attorneys ofDodge & Vega, PLC provide answers and insight to help you actively move forward in pursuit of your best possible life. Call the Tempe Family Law Firm of Dodge & Vega, PLC at (480) 559-8252 for your Free Consultation! With over 35 years of dedicated legal expertise under our belts, it is clear to see why Dodge & Vega, PLC is the right partner for your Tempe family law case. As comprehensive family law attorneys, we are able to manage and support you during every aspect of your Tempe family law issues, from financial discovery to negotiation, as well as modification and enforcement of existing orders. Our Tempe, Tempe divorce lawyers and family law attorneys work hard to deliver high-quality legal support at affordable rates. Divorce Attorneys: Every divorce is unique, with their own set of challenges and obstacles to overcome. Our family law attorneys fight for your rights every step of the way, from property division to child custody, spousal support, and more. Legal Separation: For those who don’t want a divorce but no longer wish to live as husband and wife, legal separation is an option. This is typically reserved for those wishing to maintain either financial, medical, or other benefits associated with the marriage, or those who do not wish to divorce for religious reasons. Child support, custody, and division of assets will still need to be addressed as with a full divorce. Contested Divorce: If both parties are unable to agree on any aspect of the divorce, it is considered a contested divorce. You will present your case to the courts, and they will make a judgment regarding the issues you are unable to agree upon, whether that be asset division, custody, or support. It is vital you have quality representation to best protect your interests during contested divorce proceedings. Uncontested Divorce: One of the least expensive and fastest methods of divorce, uncontested divorce occurs when both spouses are able to agree upon all issues surrounding their split. We are talented negotiators that know how to best support you during this process so you get the best possible results. Property & Asset Division: When dealing with divorce, one of the most complex components is the division of assets and property. There may be shared property, individual property, business assets, assets protected by partnerships or pre/ postnuptial agreements. We assist you in protecting your most important assets, and help you understand how other assets can be used as a bargaining chip. Prenuptial Agreements: Looking to effectively protect your hard-earned assets from potential future divorce? We not only create effective official agreements that protect your interests, we also understand how to tactfully approach the topic to best protect feelings as well. Child Custody Lawyers: If your divorce involves children, this is probably the most highly contested and important aspect of your case. It is important to reach a balance that allows you ample time to build a relationship with your children, while still providing them the opportunity to build a loving relationship with the other parent as well, if in the best interests of the child. Our Arizona child custody attorneys are here for you. Custody Enforcement: If you have an existing custody agreement in place that is not being upheld, we can support you in enforcing your current custody arrangements so you get the access to your children that you deserve. Custody Modification: Has your work schedule been modified or do you have other issues that make it challenging for you to meet your current custody arrangements? We can assist with child custody modification, working with the other parent and the courts to put a new plan in place that meets your changing lifestyle and needs. Child Support Attorneys: Depending on your situation, you may be seeking or contesting a child support claim. We understand how child support is determined and how your financial well-being plays a role in your support responsibility. We can build a compelling case for you. Spousal Support: If you your quality of life will be greatly impacted by a divorce, leaving you without sufficient means to care for yourself, you may be eligible to receive spousal support or alimony. If you are the primary breadwinner in your family, you may find yourself in a position where you will be responsible for paying spousal support. We can help you understand where you fit in the puzzle, and what you can expect throughout the entire divorce process. 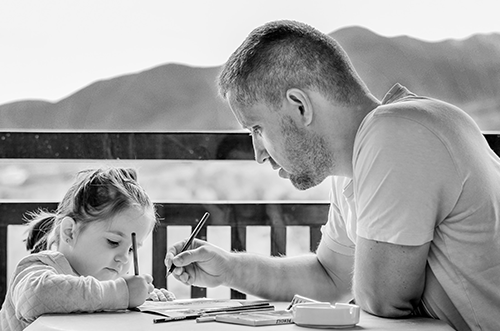 Father’s Rights Lawyers: Are you an unmarried father who wants to take responsibility for their child and enjoy the rights of access to your children? We help you understand the process, and support you throughout for the best possible results. Every family is unique, and every family law case is unique. At Dodge & Vega, PLC, we give you the individualized attention that you need and deserve. When dealing with matters so close to the heart, it is important to have a compassionate, experienced family law guide supporting you every step of the way. If you have family law needs beyond what we have listed, such as seeking estate planning support, domestic violence assistance, or are considering adoption, we can help. Our dedicated Tempe family law lawyers listen to you, understand your needs and goals, and work with you to create a solid plan for getting the best possible results for both your family law case and your future. As an established Arizona divorce and family law firm, Dodge & Vega, PLC believes that everyone has the right to pursue their best possible life, regardless of their financial situation and legal issue. Every individual has the right to quality, effective representation. With structured, transparent fee schedules, payment plans, and limited scope agreements, we can find a way to support you that works within your budget. One of our more affordable options are our unique coaching services, where we will provide you unlimited access to our attorneys as guides during self-representation for your case. Whether you are seeking an affordable alternative or traditional family law representation, Dodge & Vega, PLC is dedicated to providing the highest level of legal support at a reasonable rate. If you are facing a less traditional situation, like military divorce, high-income divorce, contested divorce, high net worth divorce, business owner divorce, or high profile divorce, our family attorneys provide the dedication and discretion your situation demands. The Tempe Family Law Offices of Dodge & Vega, PLC are driven to deliver the best possible results for every case we are trusted to handle, regardless of your needs and budget. If you are looking for a compassionate Tempe family law attorney to support you during your divorce, child custody, or child support needs, Dodge & Vega, PLC is the right choice for you. We are dedicated to helping you understand the family law legal process so you are more confident in building the right life for you. Don’t let the fear of the unknown keep you from making the right choices for your life. Get the answers you need from the affordable family law firm of Dodge & Vega, PLC! Call Dodge & Vega, PLC today at (480) 559-8252 or complete the form above for your Free Consultation!